I've been dying my hair for as long as I can remember. It's to the point where I don't believe that my natural hair color is, in fact, what it is and of course my hair decides to grow longer than a temporary color stays in. Needless to say, I was ready to try something new. Clairol Nice ’n Easy hair color was that something. One of the first things that stood out to me about the brand was that they have 45 shades that range from the brightest blonde to a deep natural blue/black. This was important to me because it meant that I had more options to choose from. I have dark brown hair with red undertones so finding the perfect shade is very important. After all, I always want a hair color that looks natural and doesn't make it obvious that I've colored my hair. Choosing the right shade was easy because the back of the boxes lets you know what the hair color would look like based on the shade you currently have now. Even though I've dyed my hair before I did the skin allergy test that was recommended because I've never used this product before. Every brand and product are different and sometimes a company changes their ingredient and even the slightest change can cause an allergic reaction. It's best to do the skin allergy test in an area that is discreet, like the inside of your elbow or the back of your neck, 48 hours before you plan on dying your hair to ensure that you'll be good to go and not have any issues while coloring. 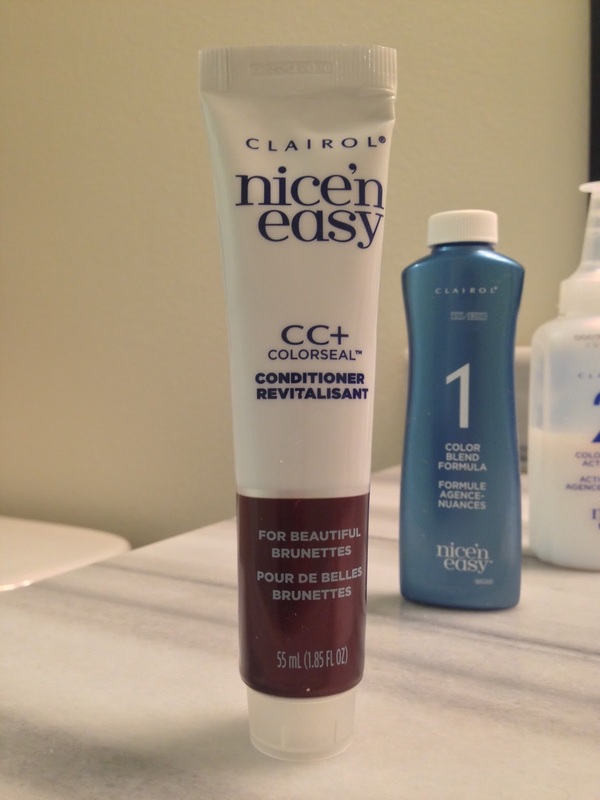 Clairol Nice n' Easy hair color came with the instructions, gloves and three different bottles that are labeled very detailed so you know exactly what to do. The color blend formula is to be added to the color activated bottle and shaken with the tip still in place or a gloved hand to avoid putting color all over your walls that should go on your head. Check out this quick how-to video that I created discussing what my process was using this product for the first time. 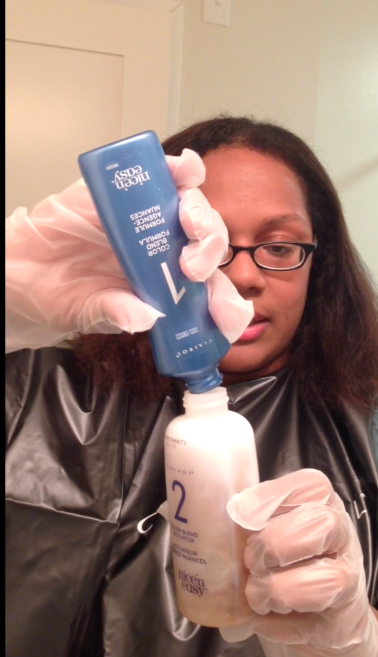 Once the product was in my hair I let it sit for 25 minutes before rinsing it off. It wasn't long before the water ran clear and all the excess dye was gone from my head. My hair felt a but dry at that time so it's great that their CC+ Colorseal Conditioner gave it the moisture that it needed. Even with my thick head of hair I only had to use a little more than half of the tube and when I rinsed it off after 2 minutes the softness was back. Since I have extremely thick and curly hair it took about 2 hours to get it completely dry and straight. The end result was a color that was a bit darker than I thought it would be but that was perfect because even though I living in sunny SoCal, the days here have not been so sunny lately, so having it a bit dark was great. 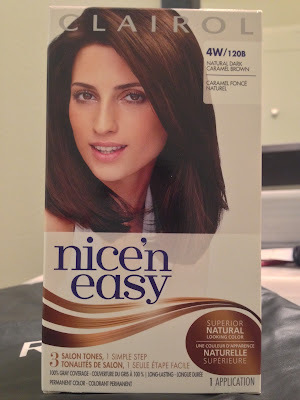 Plus, it got rid of the red undertones in my hair that I am really not a fan of. Check out the end result below. 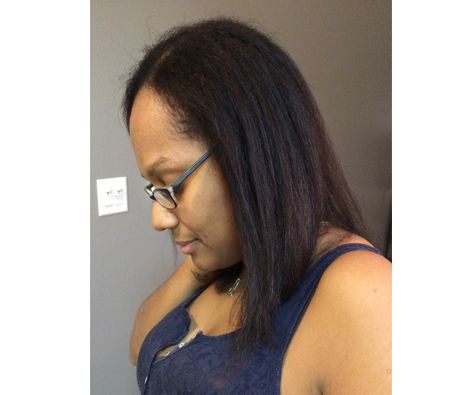 Compared to the color in the video, I'd say it's a bit more natural because it's not as light as I had it before. I'm awful at straightening my roots but I'm loving this new color! It's a new year so why not try something different. Coloring your own hair at home is quick, easy, and not to mention inexpensive so head over to their website to read up on their product before you go out and pick the perfect shade for the look you're going for. 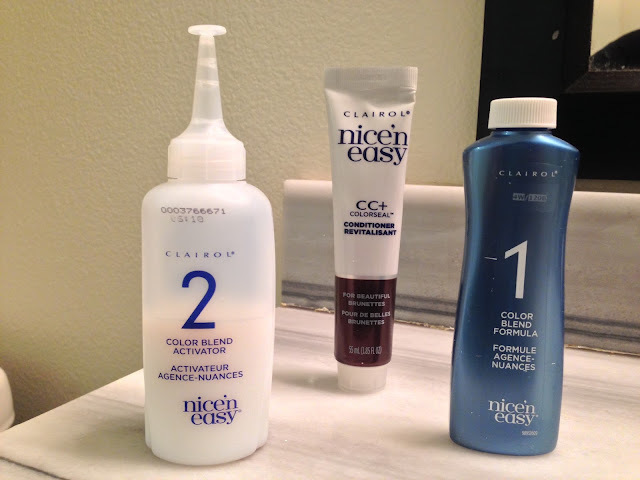 Don't forget to check out some other how-to video's on the Clairol YouTube channel and link up with them on Clairol Twitter to stay up to date with their product line!